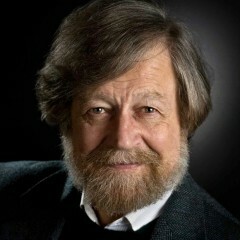 USC Distinguished Professor Morten Lauridsen recently spent a week as composer-in-residence at Cabrillo College in Santa Cruz. From Feb. 16 to 21, Lauridsen attended theory classes and band rehearsals, lectured about composing and life, and spent time with the Cabrillo Youth Chorus. The Santa Cruz Sentinel noted that on Feb. 21, four choruses from Cabrillo College and the Peace United Church of Christ Chancel Choir under the direction of Cheryl Anderson joined the composer at the piano in a retrospective of Lauridsen’s work that spanned 45 years. Following the concert, Lauridsen was honored by the Santa Cruz County Board of Supervisors for his week of teaching, rehearsals and various lectures.